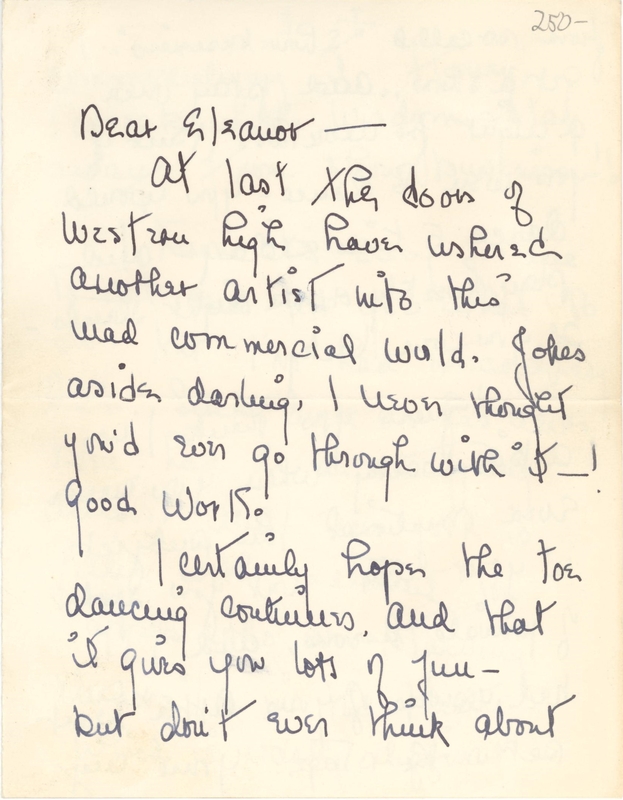 1) SAROYAN, William (1908-1981). 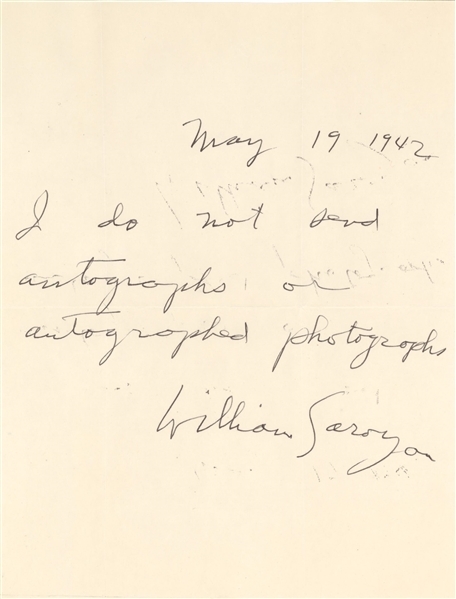 Autograph note signed ("William Saroyan"), to an unnamed recipient, n.p., 19 May 1942. 1 page, 8vo, ink offsetting, a few pale stains. 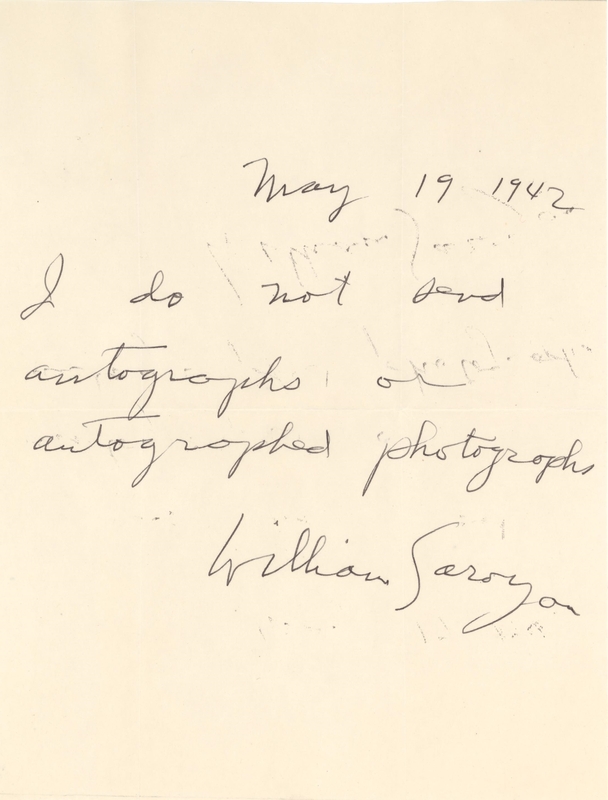 In full: "I do not send autographs or autographed photographs William Saroyan." William Saroyan was an Armenian-American novelist, playwright, and short story writer. 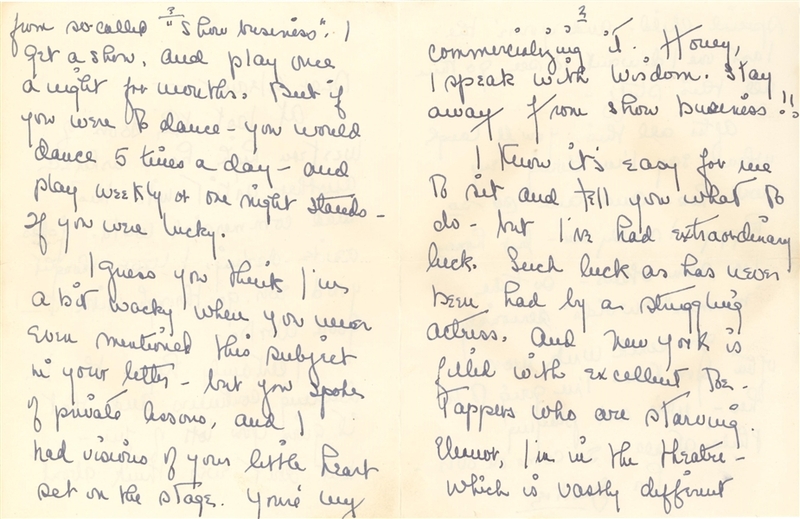 He was awarded the Pulitzer Prize for Drama in 1940, and in 1943 won the Academy Award for Best Story for the film adaptation of his novel The Human Comedy. 2) SUSANN, Jacqueline (1918-1974). 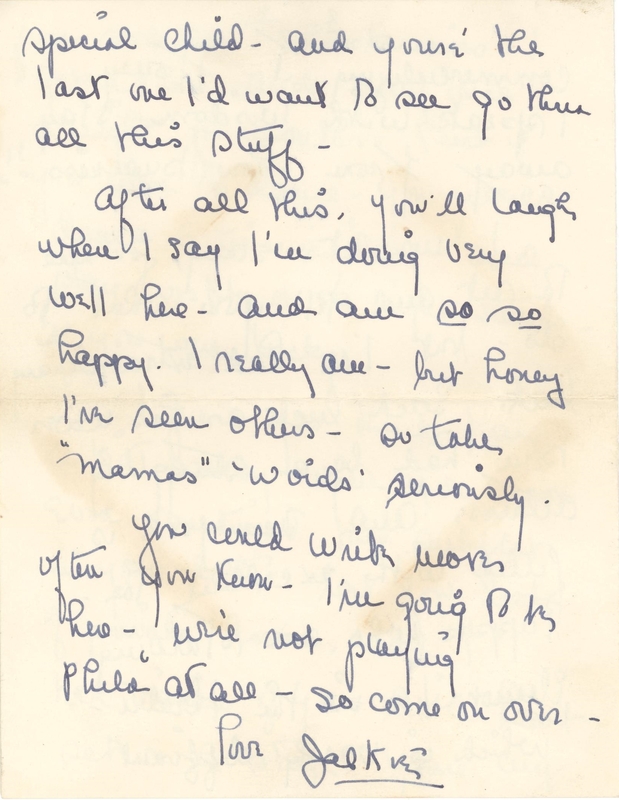 Autographed letter signed ("Jackie"), to High School classmate Eleanor Pennabecker, New York, n.d. [postmarked 3 February 1938]. 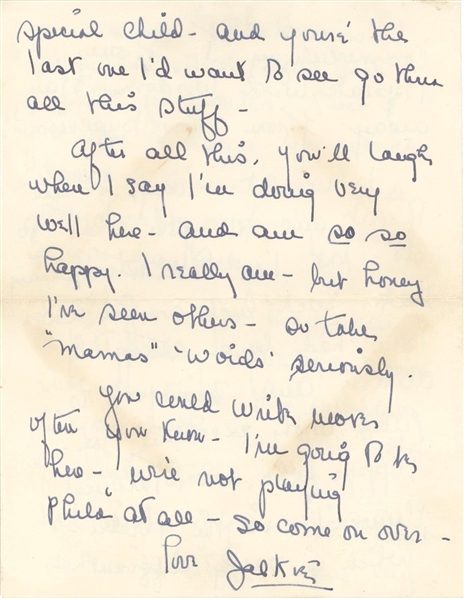 4 pages, 8vo, bifolium, original hand-addressed envelope, a few stains. "Honey, I speak from wisdom. Stay away from show business! Jacqueline Susann (August 20, 1918 – September 21, 1974) was an American writer and actress. Her first novel, Valley of the Dolls (1966), is one of the best-selling books in publishing history. 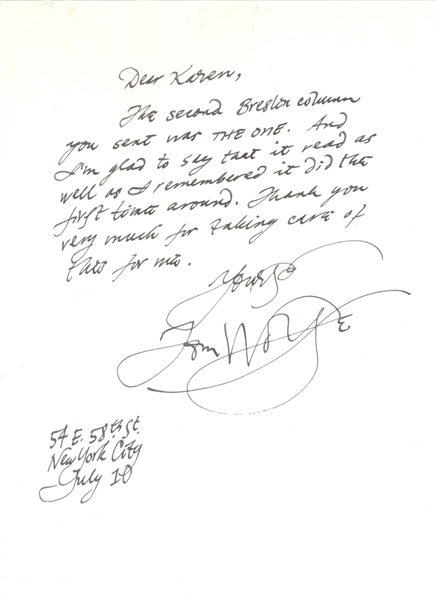 [With her two subsequent works, The Love Machine (1969) and Once Is Not Enough (1973), Susann became the first author to have three consecutive #1 novels on The New York Times Best Seller List" 3)WOLFE, Thomas (b.1931). 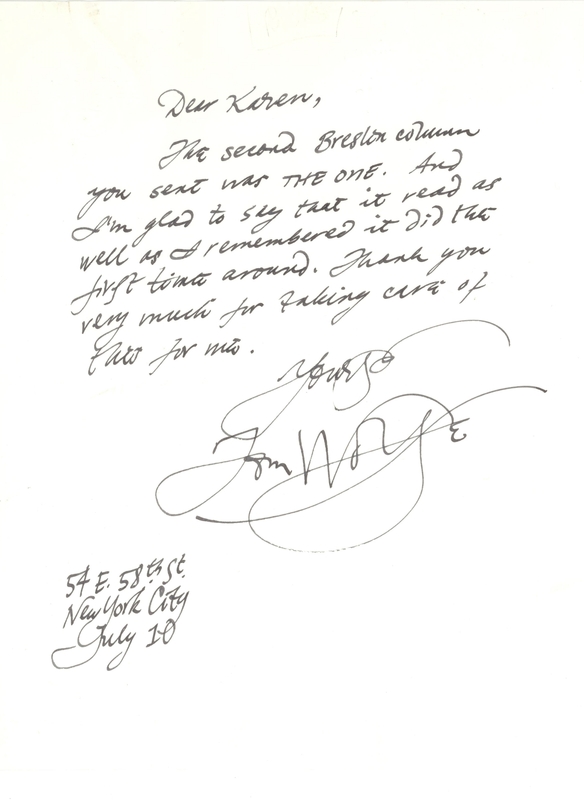 Autograph letter signed ("Tom Wolfe"), to Karen, New York City, 10 July 1969. 1 page, 4to, on personal blind embossed stationery, creases. 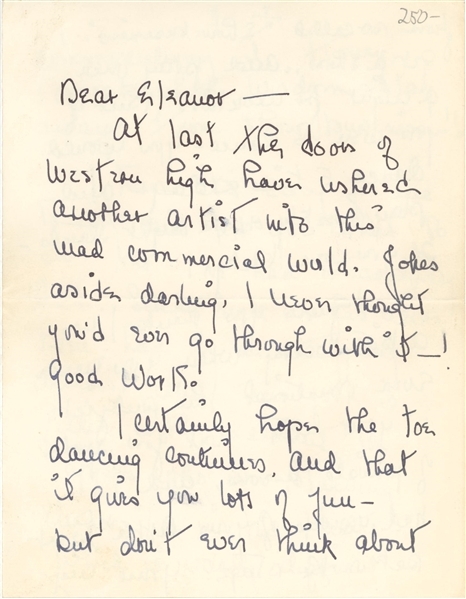 Wolfe thanks the recipient for sending the correct article.Thomas Kennerly Wolfe Jr. was an American author and journalist widely known for his association with New Journalism, a style of news writing and journalism developed in the 1960s and 1970s that incorporated literary techniques.